Dog Relaxation Techniques, How to Calm Your Dog Down? Many of the relaxation techniques we use ourselves are also appropriate for our dogs. We all need time to wind down and forget the stresses of the day. If your dog had a hectic day – chasing the neighbor’s cat, meeting friends in the park, traveling to the grooming salon – give him or her plenty of time to become de-stressed. Looking to Calm Your Dog? Exercise Works Wonders! This is a superb way of preventing the need for more hands-on relaxation techniques to calm your dog down later in the day. A well-exercised dog is more likely to be relaxed when he is indoors. Try some exercises such as Frisbee throwing, soccer, tug games and fly ball. Even a good run back and forth can burn off energy. If you have a retrieving breed, such as a Labrador, he will love to fetch balls and would probably do so for as long as you were prepared to throw them. If you have a sight bound, such as a Greyhound, you will be surprised how much fun and exercise he can have chasing the beam of a flashlight or a shadow. Larger, guardian breeds, such as Pyrenean Mountain Dogs, may just enjoy a gentle stroll. 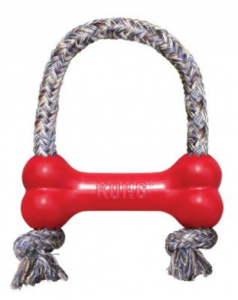 Here is a wonderful Kong toy that can be used to play tug of war, you can get a workout for yourself as well as tire your dog out quickly using this game. Remember, if you have a highly energetic dog like my Pit Bull then you are going to get burned out before your dog will. 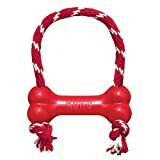 If you do not have a lot of time to play the tug of war with your dog and want something they can entertain themselves with, look into getting a regular Kong Toy. You can stuff these with your dog’s favorite treats and forget about it. 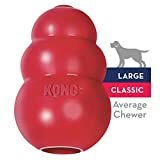 Be sure to pick a Kong toy size that matches your dog’s size and breed. My Pit Bull can destroy the smaller ones but doesn’t make a dent on the larger sized Kong toy. The Kong toy will help your dog relax for hours as they try to get to the treats. Another one of the best ways to ensure that your dog is properly exercised is to play sniff-and-seek games. 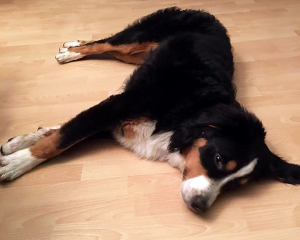 People that are lost in avalanches are only too glad that the St Bernard who finds them likes a good game of hide-and-seek, and now you can bond with your dog indoors or outdoors with this fun, obedience-oriented and stimulating activity. Start your dog off by carrying a strong-smelling, high-value treat – such as cheese or a chew toy with you when you go to hide. When your dog finds you, reward him or her with the treat and issue lots of praise. By getting into your dog’s space, whether that is on the floor or on the sofa, you can pass on the benefits of deep breathing exercises by doing them yourself. Did you know they have relaxation music for dogs? Here is a wonderful app that you can download which plays music to your dogs. It’s called Calm Your Dog on iTunes. It is made possible by Rachel Conwell, you can visit her website at Kaybri. Hold your dog close to you; it he is a big dog it might be easier just to lie close together. Begin by taking in large breaths and holding them in for three seconds each. Of course, your dog won’t be able to copy what you do, but he will be able to feel the calmness that you are resonating in your personal space. As a natural tendency, dogs like wolves, enjoy laying down with their pack. It is one of their ultimate relaxation methods as pack animals. If you’re lucky enough to have a spa bath or Jacuzzi, don’t be selfish – let your dog in every now and then to enjoy the relaxing sensations of the bubbles against his skin. Some dogs love having baths and some love swimming but mostly all dogs love water. So, there is no reason why your dog won’t enjoy a relaxing soak in the either. 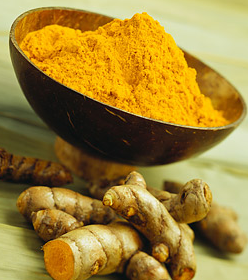 The benefits of water therapy such as this are numerous. Older dogs with mobility and joint problems will find great relief in the weightless sensation of being in the water and will benefit from the therapeutic effects that the warm jets of water can have. Dogs with injuries also reap the benefits as the soothing effects of the Jacuzzi may help reduce the swelling on any knocks or bumps they may have picked up. You can look into purchasing doggy life jackets if you are serious about taking your dogs swimming with you in rivers, the ocean etc. Be sure to supervise your dog at all times when he is in the Jacuzzi, make sure the water is not too hot for him before he enters, and don’t let him spend more than 10 minutes in the water at any one time. Finally, make sure you clean out hairs from the filters afterwards! As a Dog Trainer & Blogger, I would like to share my own experiences in the canine world with other dog owners and hope to learn something from others as well. Well, these are really very useful techniques for relaxation for the dog but it’s not easy all the time so you can also take your dog on walk on regularly as well as give a bath with proper care specially in summers that will also help. Hi thank you Kristina, thanks for the tips. 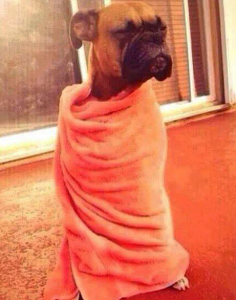 I usually give my dog a cold bath at least every week during summer time. I noticed it is not good to over bath them as the natural oils in their skins will be lost and the hair can become dry an increase shedding.